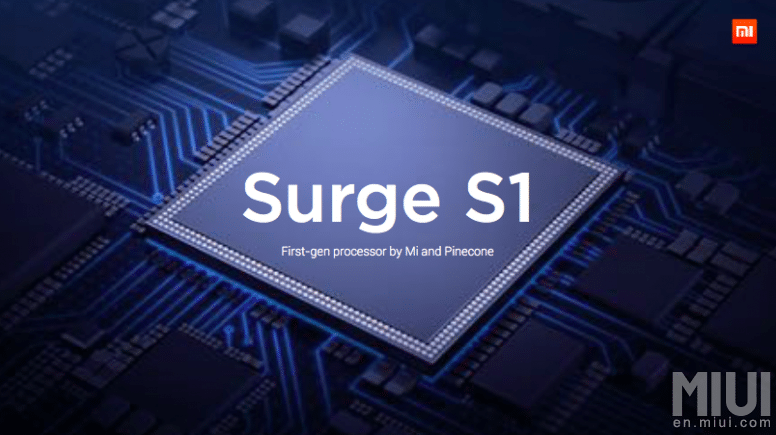 Xiaomi today at MWC 2017 launched its new processor and named it Xiaomi Surge S1 SoC that is developed together by Xiaomi and Pinecone. 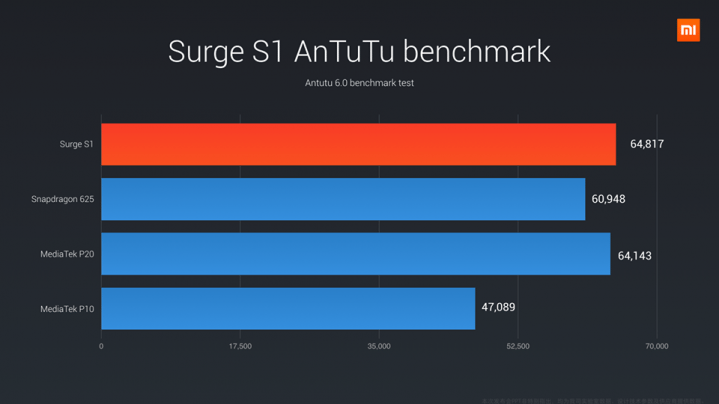 The Surge S1 is an octa-core processor with four ARM Cortex A53 cores clocked at 2.2GHz and the other four power-efficient ARM Cortex A53 cores are clocked at 1.4GHz. This processor comes with big.LITTLE structure to effectively use its four cores. "We first heard news of Xiaomi developing its own chips in mid-2015 when the vice president of the processor manufacturer Leadcore announced a partnership with Xiaomi to help it design them. Today we are really excited and proud to announce that Xiaomi is going to lift the lid on the details about its own "Pinecone" SoC on 28th February! This would make Xiaomi the second Chinese smartphone manufacturer only after Huawei to produce its own processing units. " said Xiaomi in an official post. The Xiaomi Surge S1 SoC comes with an octa-core structure with quad 2.2GHz A53 + quad 1.4GHz A53 CPUs and 28 nm HPc process. It comes with a quad-core Mali-T860 GPU along with a 32-bit high-performance DSP for voice processing and a 14-bit dual ISP with up to 36-megapixel camera support, light sensitivity enhancement / dual noise reduction algorithm / multi-shot optimization. This SOC will support dual channel LPDDR3 933MHz RAM and eMMC 5.0 internal storage. It will have support for display up to 2560×1600 resolution and will support 9V2A fast charging for the upcoming Xiaomi devices. It will support LTE Cat.4 network with 5 modes 23 bands, VoLTE high definition voice support and video calls. Audio formats it will support includes PCM, AAC/AAC+/eAAC+, MP3, AMR – NB and WB, FLAC, APE, DSD, WAV SNR: 119dB / Total Harmonic Distortion: -90dB Supports SmartPA / Dirac and it will support video recording 4K @ 30fps,1080p@120fps,720p@240/fps. It will support H.265 /HEVC(Main profile), H.264 (Baseline/Main/High profile), MPEG4 (Simple profile/ASP), VC-1(Simple/Main/Advanced profile) and more codecs.